Today Year Nine and Ten Digital Technology Students participated in a Coding workshop at QUT. Students constructed a robot arm from a range of components and motors. Based upon their selected components, students mathematically determined the physical limits of a prosthetic arm. Using this information they tested their hypothesis by remote controlling the arm to perform a variety of tasks, testing the capability of their robotic claw. They refined their design, selected alternative components for their robotic arm and calculated the potential strength and dexterity. They then learnt how to automate tasks using script-based programming, and tested their design modification and its effect on performance to create a user guide for this prosthetic. Topics covered in this workshop were coding, engineering design, and mathematics. 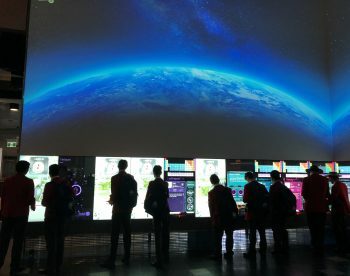 Around this students were also able to spend some time at ChemWorld which has the world’s largest screen. Chem World provides an inspiring and hands-on experience of chemistry and its fundamentals. Safe to say, students enjoyed their excursion today!